New LGR: Local Government Review shares key research findings on participatory budgeting, preserving the autonomy necessary for representing residents’ needs, and data analytics. ICMA launches its fourth LGR: Local Government Review as a special section in the July 2018 issue of Public Management (PM) magazine. Powered by TownCloud, this three-article issue is filled with key research findings and expert insights on local government issues and trends and is put into the hands of members and PM subscribers—at no additional cost! Public officials should design a two-track participation strategy with a portfolio of mechanisms. At the micro-level, people can be recruited to help make decisions on specific issues. 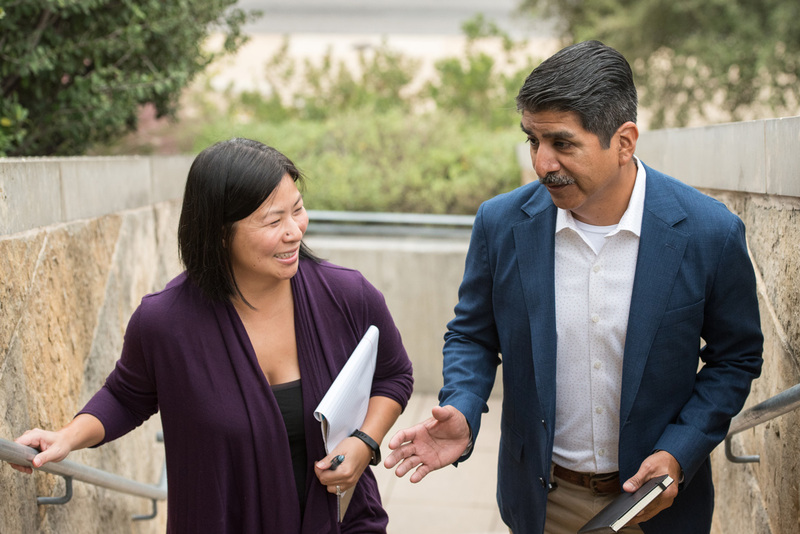 At the macro-level, participants have a chance to make decisions that benefit the entire community. Current conversations about state interference and limitations of local autonomy focus on preemption. Yet preemption is only one form of interference with local discretion. In our research, we identify three categories of state actions: permissions, restrictions, and requirements. Advancements in technology have made data analysis easier to perform, even for those without a technology background. As a result, staff members across the organization have a greater ability to understand and use data. 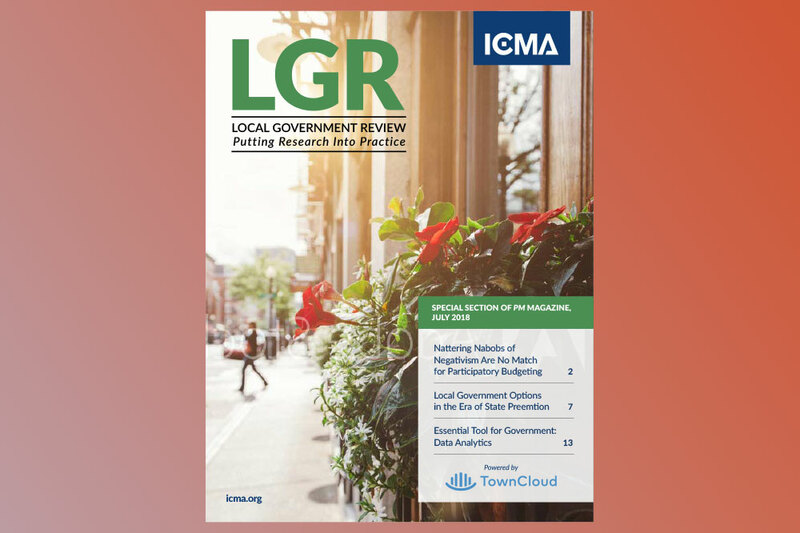 LGR: Local Government Review, powered by TownCloud, is offered to ICMA members as a member benefit and to PM magazine subscribers. E-copies of LGR are available to ICMA nonmembers through the online bookstore for $8.95. Click here for previously released versions of LGR: Local Government Review.